Who is Ibn Battuta? What is a black hole? Why is a knowledge of a trajectory so important on a flight path? How are copper sulphate crystals so geometric? And how on earth did we make ice cream in a classroom without any chemicals or appliances? These were some of the questions that were answered during the Gloucester House Science and Engineering week. Hedgehog class get creative in the kitchen! 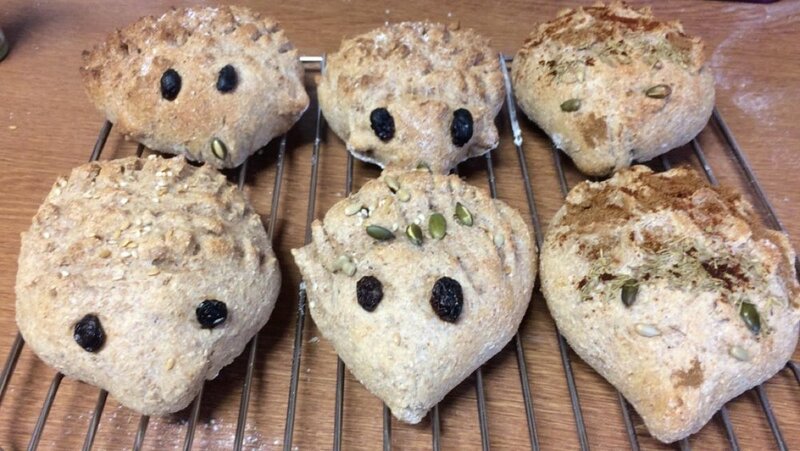 Hedgehog class made delicious hedgehog bread rolls this week in cooking! The dough was made from whole wheat flour and then the students shaped the dough into balls and pinched the backs to make spikes. They each added their own flair by adding raisins and seeds as eyes and different spices and herbs to add flavour! Nimisha Deakin, our rising star! Congratulations to Nimisha Deakin, our Clinical Nurse Specialist and Outreach Lead here Gloucester House, who received a Royal College of Nursing London BAME Rising Star award. Nimisha was proudly nominated by Kirsty Brant with support from our other senior Tavistock nurses, Chris Caldwell, Peter Griffiths, and Claire Shaw. 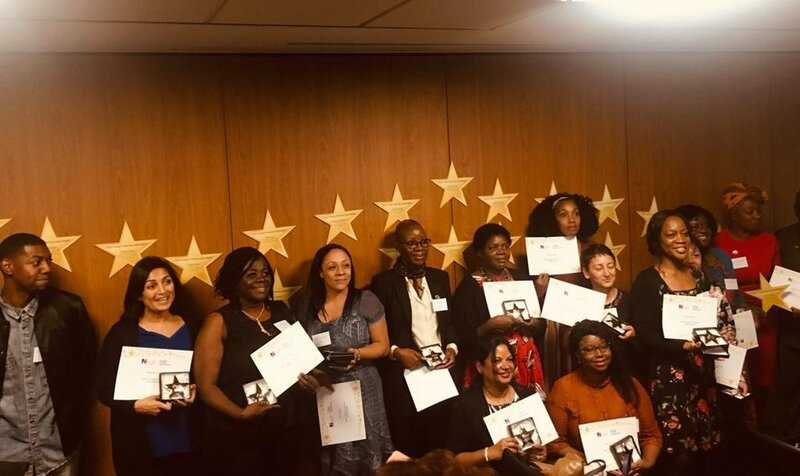 The award ceremony took place at the Royal College of Nursing London’s special Black History Month event on 17 October at University College Hospital London. 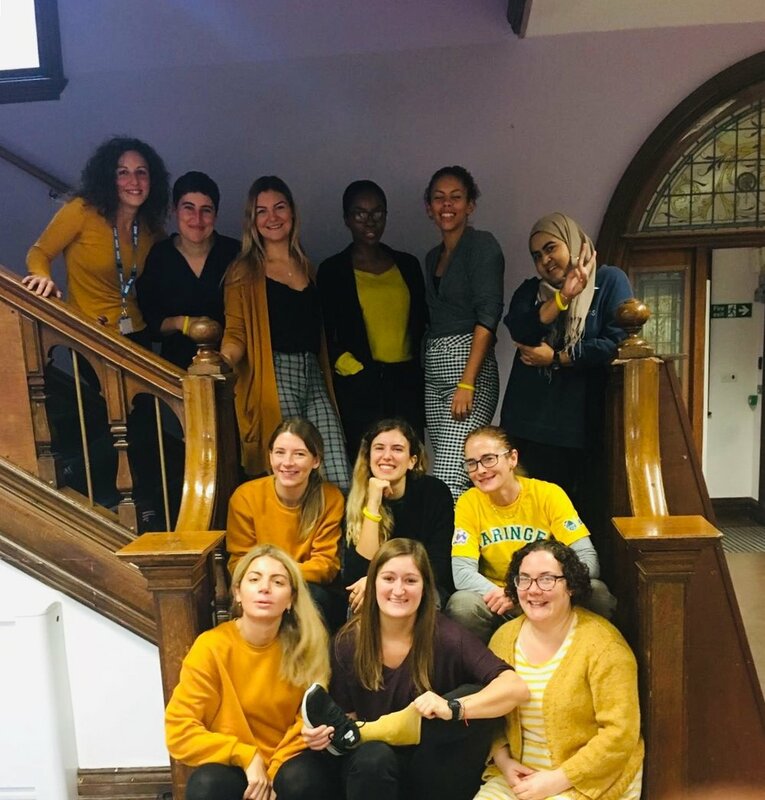 At Gloucester House we embraced world mental health day celebrations by turning yellow. This was the Young Minds initiative #HelloYellow to promote mental health awareness. 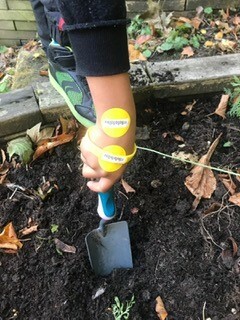 As you can see from the photo’s we had yellow clothes, breakfast tables set with yellow, yellow fruit at fruit time and planted yellow daffodils to look forward to in the Spring. 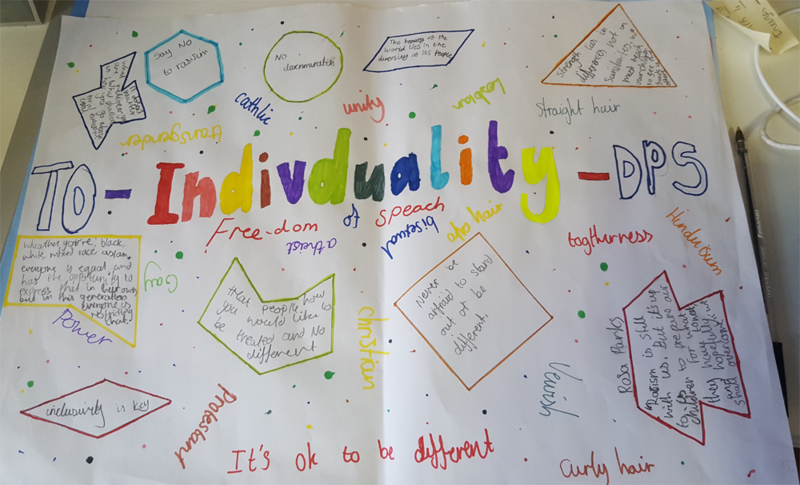 The children and young people took part in activities and learning around mental health; thinking about and our mental health as we would our physical health and how we look after our mental wellbeing. We also made mental health first aid kits which included helpful wellbeing strategies and the children created some lovely mental health art work. We had a really fun and yellow World Mental Health Day! Save the date – Our 50th Anniversary is on the horizon. We invite past and present pupils and teachers, support staff, educational psychologists and any other interested stakeholders to join us on Friday 16 November to celebrate the 50th anniversary of Gloucester House. Our 50th Anniversary Conference is an opportunity to join us as we revisit and reflect on the history and the current practice of Gloucester House. The day will include a keynote speech on the history of Gloucester House, workshops and tours, a panel Q&A, and of course, a party! Dear all – happy Summer Holidays! I’m sorry I’ve been a bit quiet on the blog recently but as children and parents/carers will know, I have been away quite a lot as I fell over in the snow and broke my foot, and then had an operation (unrelated) on both my feet! I’m much better now and so pleased with all the progress everyone has made since I’ve been away. 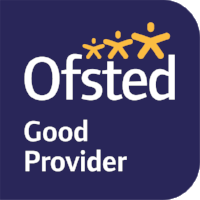 Good work team Gloucester House – staff, children and parents/carers. It's snowing in London today - very seasonal! Thanks so much to those of you that came to the meeting. It was a packed agenda! Thanks for your input and support around the behaviour policy/system – which we will implement from next week (13.11.17). Thanks also for your thoughts about how to implement the ‘wearing of the new school uniform. It’s been great this week to see so many of the children wearing their uniforms. They seem to be enjoying them! Just to clarify that we have agreed uniform as optional for the rest of this term and mandatory for after the winter break. I am enclosing the behaviour system notes and the uniform parameters so everyone has a copy. For parents/carers who couldn’t make the meeting we are gifting one sweatshirt and one polo shirt for the children. Other uniform items can be purchased. Please contact Jan Kidd in the office for this. Next week is national anti-bullying week. The theme this year is ‘everybody different, everybody equal’. We strongly believe this at Gloucester House (as you know!) 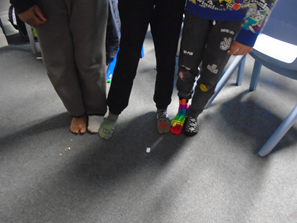 and to mark this we are joining the national ‘odd socks day’ which encourages people to start anti bullying week by wearing odd socks. We will take photos of all the odd socks people wear if they would like. This is no no way compulsory but people are welcome to join in if they wish. The bike ride raised £800! We're going to invite the rider to a circle time to talk to the children. Here are some pictures of the happy winner. It certainly feels like autumn is here. We had a lovely summer term with the garden party, Avon Tyrrell and lots of positive feedback in report meetings. Thanks so much to so many of you for sending in things for children and staff at the end of term...it was more than kind and we actually had TOO much stuff as some of you know. I'm putting up a picture of the incredible cupcakes by Leeloo's sister. Really beautiful and professional. Perhaps we could get some of your involved when we do cakes for our next charity bake sale. 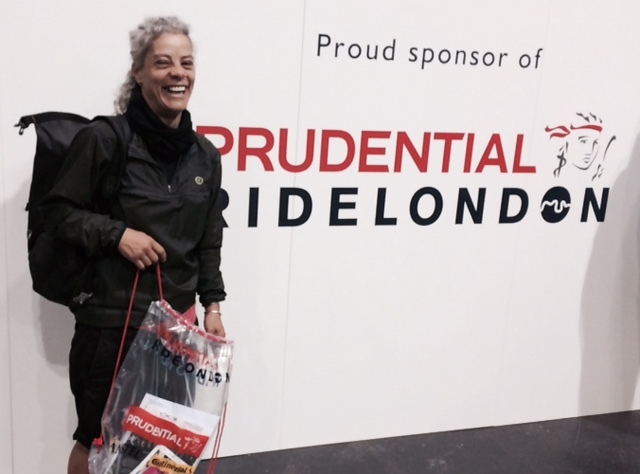 A friend of Gloucester House did a charity bike ride for us in the summer and cycled over 100 miles! We have to decide how best to use the funds but we are really touched that we were her chosen organisation for the funds to go to. We are sorry that there has been a delay with the uniform arrival. We will let you know when it arrives and then we need to think as a community what the protocols will be around wearing it as we acknowledge it's a big change with some of the young people much more enthusiastic than others! We hope everyone is settling in to their new classes/ new teams and look forward to the year ahead. Happy half term to all. The sun is shining! It's been a good half term at Gloucester House. We have spent some of the time thinking about the staff and children who will be leaving in July and those who have left during the year. We have also interviewed and appointed for the posts and some of our new staff have already started with other new staff joining us over the next half term. We have also had two new young people join us this term so welcome to them! I'd also like to share half term reading from our 'writer of the week' initiative. 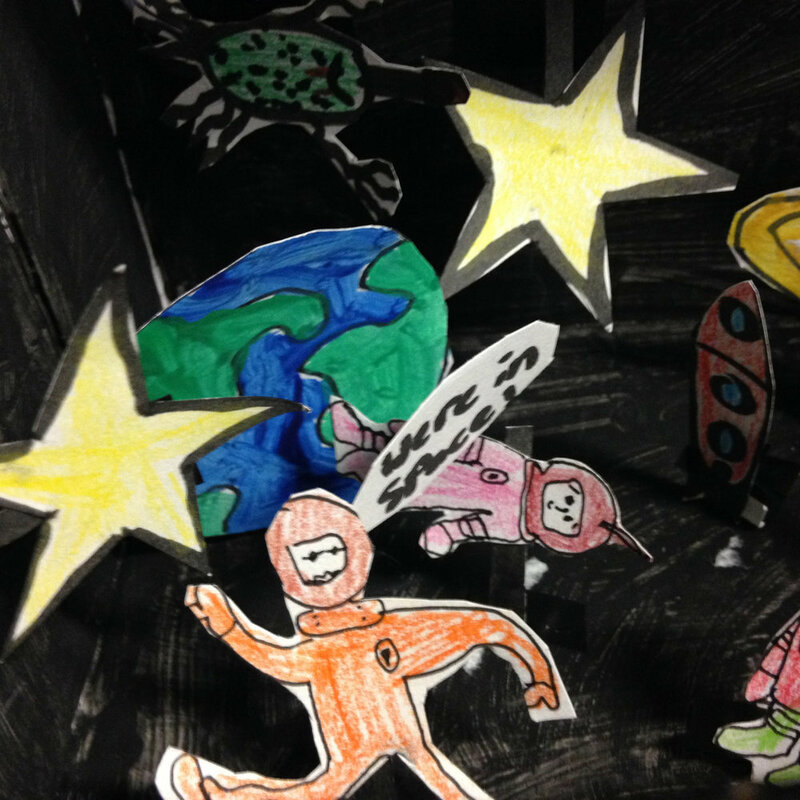 I'm really proud of the interest and enthusiasm children show to share their writing and the good range of non-fiction and fiction that is submitted. Download a PDF of the childrens' writing. There were ancient civilisations all over the world. The ancient Egyptian empire was based near where you now find Cairo. It is a very hot climate in Egypt. The Ancient Greek Empire was based in Greece. They had lots of stories of mythical creatures. The Shang Dynasty was in Ancient China. The Great wall of China is a relic of this time and of ancient building work. All three of these ancient civilisations were based in hot countries and all believed that animals held particular importance. Ancient Civilisations had many different religions. The ancient Israelites believed in one God called Yaweh. One of the most powerful empires in the ancient world were Greece and Rome. In ancient Egypt, Egyptian religious beliefs and practices were closely integrated into the Egyptian society of the historical period. Ancient Egyptians believed in many Gods (polytheistic) as did the Greeks whereas the ancient Israelites believed in one God (monotheistic). The Ancient civilisations had some incredible buildings. In Nepal there were very old buildings with carved roofs that had roofs bigger than the base. In Greece they built large stone temples. In Egypt they build large pyramids as tombs. There were very few similarities between these ancient civilisation’s buildings and architecture. The Ancient civilisations were run and managed in different ways. The Knights Templar were an army based in Europe who fought in the crusades. They created the first ever bank and discovered many new technologies. They were run by a Grandmaster who was in charge. The Pharoah’s ruled ancient Egypt. They were buried in pyramid tombs with all of their slaves. The Ancient Greeks had the first ever parliament. There were many different approaches to running civilisations. The ancient civilisations used many different ways of communicating. 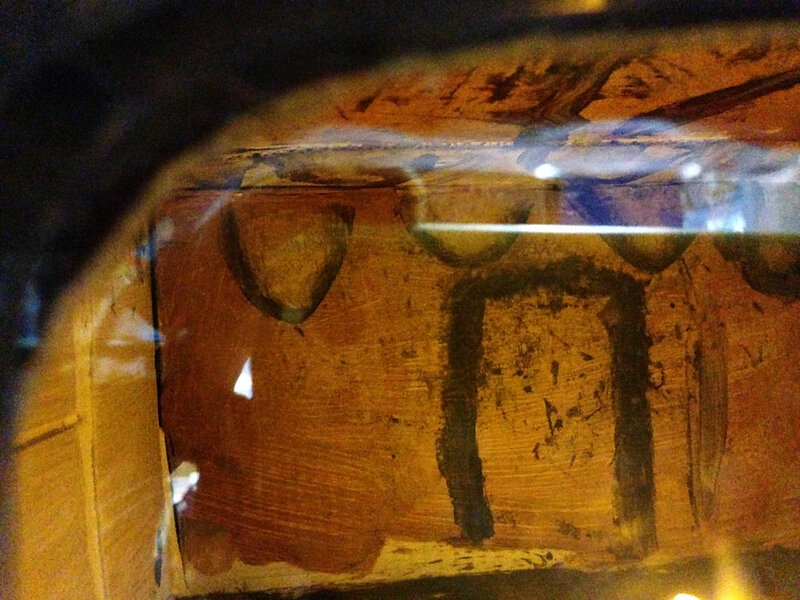 Egyptians used a form of writing called Hieroglyphs. In ancient Greece they used a big horn for communicating to large groups, a light for communicating long distances and the alphabet for speaking. In ancient China they spoke Putong – Huao and a lot of other languages. We have learned lots about a range of ancient civilisations and have found similarities and differences between them. The children have been enjoying their work on ancient civilisations. I will post some work to show what they've been doing. Next week is world book day (2nd March). We have received book tokens to take them to the bookshop and will do lots of work on books and stories so hopefully some favourites will come into school to be shared. An unprecedented number of children in the UK are being diagnosed and treated for a mental health disorder. The Channel 4 documentary 'Last Chance School', part of the Kids on the Edge series, follows three of these children at the Tavistock and Portman’s day unit, Gloucester House. One of the students the film follows is 11 year-old Josh, in his last term at the school. Josh was adopted when he was 6 years old, but his traumatic early years have been worked with in his time at the school. After three years at Gloucester House, his parents (Stig and Phill) and the staff at Gloucester House hope he is ready to move on to a mainstream secondary school. We live in an ever more incredible world where the possibilities of disappearing into virtual worlds, becoming "other" people and living in imaginary landscapes are closer to hand than ever before. When an audience watched the first film, depicting a train rushing towards the camera, it's reported that they ran from the cinema, terrified they were going to be hit! The developments in online gaming and the advances in CGI mean that almost anything we can dream up can become "real", and today the spectacle of people wearing total virtual reality suits is a reality. 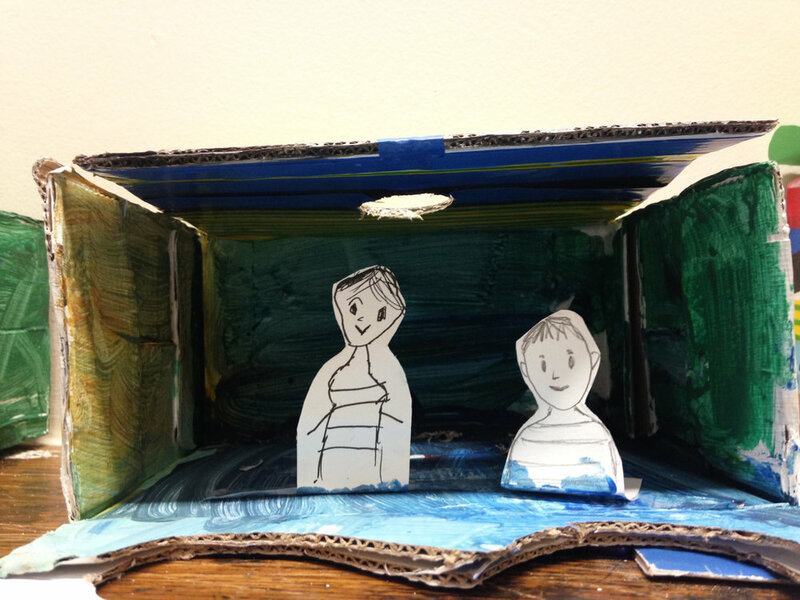 Against this backdrop, and inspired by these ideas, I worked with children from Gloucester House Day Unit, exploring memory and imagination and experimenting with creating an equivalent of the virtual reality headset - using cardboard! 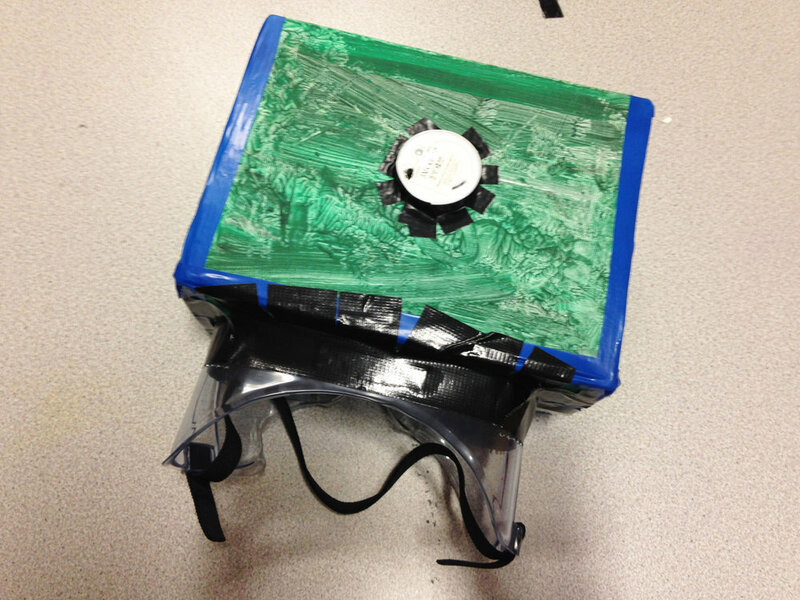 The children made their own ‘headsets’ containing tiny worlds or scenes from inside their heads. 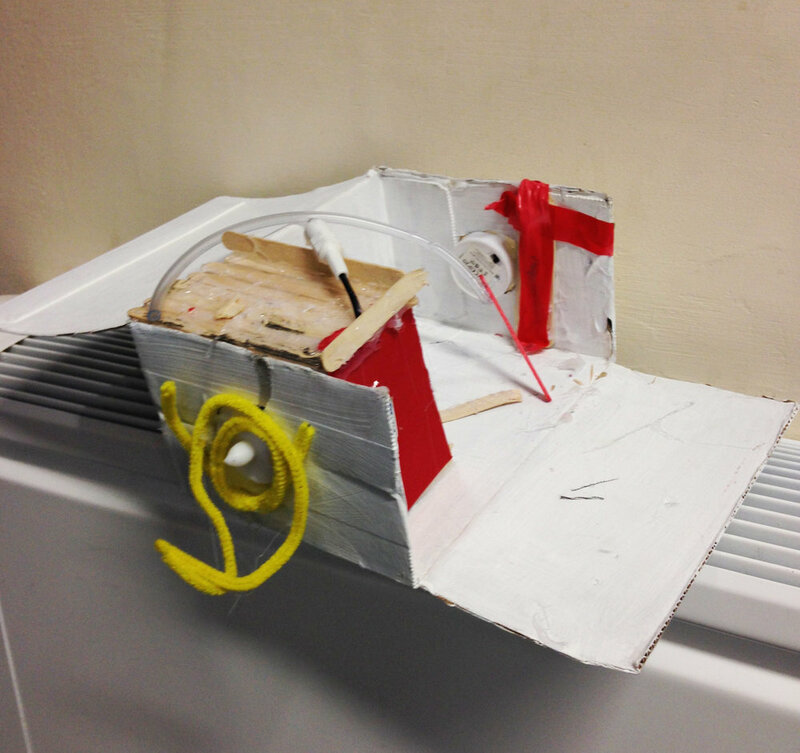 Using a variety of materials including recycled cardboard boxes, tubes and welding masks they created characters, planets, under the sea worlds, spiders, cinemas, imaginary landscapes, houses and insects. The work was incredible and formed part of the pop-up art exhibition at Gloucester House last week. Rachael Causer is an artist living and working in London. Much of her practice is concerned with the overlooked. Working across a range of media, that encompasses textiles based practices and photography, she explores materials and processes to examine our relationship with objects, with a particular interest in the domestic. Often working in series: collections of photographed abandoned mattresses; reflections of buildings in puddles; a taxonomy of repaired "lost" socks, she is interested in developing new understanding about our relationship to everyday things and, especially, notions of repair and re-use. Much of her work is about social engagement, developing projects that invite participation and collaboration. Thank you so much to those of you that came. I thought the children and staff did a great job welcoming you with an art gallery - showing you the work they did with Rachel Causer (Tavi resident artist). I think she will be adding a blog entry to give you some more details and pictures....and a pop up café showing you their money skills, cooking skills, team work skills and practising for the world of work skills...not to mention delicious food and smoothies!....and e safety presentations showing you parents/carers the children's knowledge and experience of e safety plus practising their presentation skills....and finally a bookshop to purchase books and to raise money for Children in Need! I know Robin also gave an informative talk to support parents/carers with e safety at home. All the presentations will be available on this website very soon! In the parent/carer meeting we also talked about uniform and I will write a letter to about what we agreed soon...and a new parent rep for Gloucester House. I'm glad we had some interest in the role and again I will write to parents soon with details about this. Watch this space for more about the art gallery! Welcome back to the new school year. I can’t believe it’s almost half term already! This is Laura, Speech and Language Therapist, and I wanted to tell you about how Lego Communication Therapy is going this term. For people who haven’t heard much about Lego therapy, you can find out more about it at http://www.legotherapy.com/ or I can send you some more information if you contact me on laura.mclean@nhs.net. This term, children have been able to do Lego therapy sessions more regularly and have been doing sessions with Therapeutic Support Workers in their classroom. The children are often very motivated by the challenge of building a specific lego model, they have to be extra motivated because it has to be built through speaking and listening – one person (the architect) describes the bricks and what to build and the other person/people (supplier and builder) have to listen to and follow the instructions. Lego therapy sessions give the children a really great opportunity to work specifically on their speaking, listening, social communication and resilience when communicating, and an opportunity to think about how they are feeling and what strategies they will use to help them stay calm even when the speaking and listening part of the task gets very challenging and frustrating. The ‘incredible 5 point scale’, alert strategies and mindfulness strategies all support them with this. So we come to the end of another eventful academic year. I know parents/carers and children received the termly newsletter full of work and articles about what we've been doing. Such a busy, busy year! But time always flies at Gloucester House. It has been great getting to know so many new parents/carers and to see you getting to know each other. I know you had a good chat yesterday after the wonderful film premiere of the children’s individual films. I hope you liked the films. Any of you who didn’t get the chance to see them, please feel free to get in contact as we are happy to show them to you – and of course you will also all be getting your child’s individual film. What I liked was that Pete and Emily had really listened to the children’s individual interests and helped them make films that really reflected that. Stig told me that one of things you talked about over lunch was thinking about a new parent/carer representative as his son is moving on. He also told me that you had talked about uniform. I know we talked about it before and he said many of you are keen for us to get a uniform for Gloucester House. We talked about this in School Council today and the children had some very creative ideas. There were very mixed views about uniform – some children saying they wanted blazers and ties, some saying they wanted no uniform and some saying different coloured clothes with logos that you could Velcro or sew on. So we will make sure we talk about this in our first parent/carer meeting of the term. Stig’s other feedback is that you say you are generally very happy with our service but would like the more notice of events. We will send out the annual calendar in September and make sure we give as much notice as possible. Also the Outcome Report will come out in the Autumn so I will post the most recent outcome data then. Now to sign off for August - back in September! 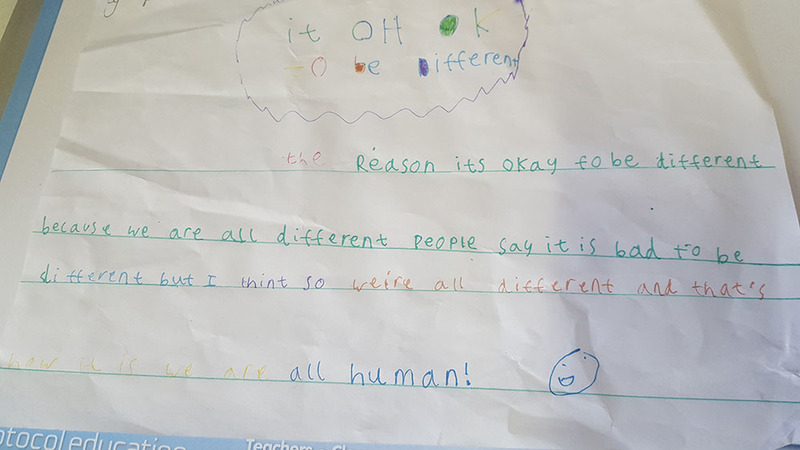 This magazine from Young Minds and blog article by the National Health Executive might be of interest to people as it’s all about the way we work with children to understand the behaviour and not simply correct it. We're interested in peoples’ feedback. Let us know what you think.